The trip is Songlines’ second option to the Balkan States, on the edge of eastern Europe, having operated groups to the famous Guca Brass Band Festival in Serbia for a number of years. ‘At Home with the Gypsies’ provides a rare chance to experience the traditional sounds of Romania ‘in situ’ – which only Songlines is able to provide thanks to their wide network of world music contacts. The itinerary includes visits to two legendary villages – Clejani, the home of Taraf de Haidouks, and Zece Prajini, the home of Fanfare Ciocarlia, plus a chance to taste the urban lautari music of Bucharest and the string band music of Transylvania in the town of Medias, which was fortified by German settlers in the 13th century and boasts some stunning fortified churches. The group will also visit the Wallachian village of Clejani, where virtuoso cimbalom (hammer dulcimer) playing is a distinctive part of the sound. The trip ends back in Bucharest with a chance to explore the wide boulevards and narrow alleys of the city and, in the evening, enjoy the urban Gypsy music that is so much part of the city's soundscape. The holiday costs from £1500 pp which includes all land transportation, eight nights’ accommodation, most meals, musical events and sightseeing activities as per itinerary and an expert Songlines Music Travel tour leader (flights not included). The annual brass festival in Guca has been going since 1961 and is one of the biggest and wildest festivals in Europe when around 300,000 people descend on the village of Guca, which is home to just 3,000 inhabitants. For four days, there's feasting on spit-roasted lamb and pork, alcohol a plenty and some 40 brass bands playing the local dances – the kolo and the cocek. 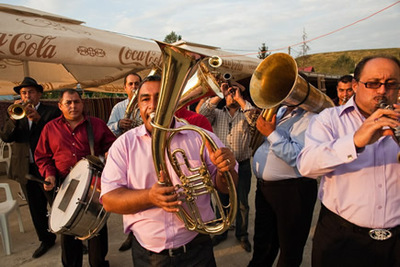 Some of the brass bands – which are big in the Balkans – feature Serbian musicians, whilst others feature Gypsies. The festival features many well-known musicians including Goran Bregovic and Serbia's most celebrated trumpeter, Boban Markovic, who has frequently won the Golden Trumpet prize. Aside from the concerts and competitions, much of the fun is to be had in the streets – eating, drinking and dancing around the tables till the small hours. The holiday costs from £615 pp which includes five nights’ B&B, festival entry and the services of an expert Songlines Music Travel tour leader (flights not included). All trips are based on two people sharing a room and flights are also bookable through Songlines Music Travel. Travel packs include an information sheet about the local music, plus recommended recordings and DVDs. For further information on these and other Songlines Music Travel holidays, visit songlinesmusictravel.com.